The Whitehorse Green Guide has been developed to help people in Whitehorse identify where and what green products and services are available in Whitehorse and to provide information to help you make more sustainable choices. We encourage everyone to ask more questions about their purchasing options and become more conscious of the impact different choices can have. BUY LESS – do you need it? Can you fix what you have? Can you buy it secondhand? Barter or trade? BUY GREENER – consider qualities like: reduced toxicity, reusability, energy efficiency, eco-responsible packaging, recycled content, minimal environmental impact from manufacturing, and minimal or no artificial materials and look for third-party verification (Ecologo, Fairtrade etc.) and sustainable standards. Consider the life cycle of a product (raw materials, manufacture, distribution, use and disposal). KEEP IT MOVING: squeeze the life out of it – make it into something else – rename or transform it (old towels can become washcloths or drying towels for muddy dog paws). Give it away or donate it: curbside swap, free tables, thrift shops, women’s shelter, etc. 1. RECYCLE materials that are recyclable (download city sorting guide). 2. COMPOST anything that remains that is compostable (download city sorting guide). 3. DISPOSE of any remaining *Household Hazardous Waste safely. Okay, we are not quite there yet – a lot of things end up at the landfill that still have some life in them – things that could either be reused in whole or in part and/or recycled. 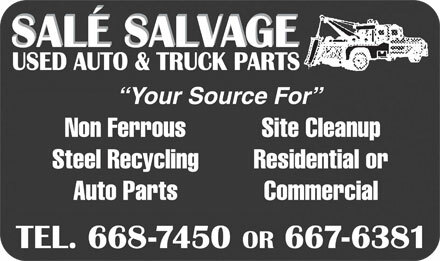 If you are interested in reducing the ‘usables’ that are still making it to the dump, you may consider purchasing a salvage permit from the city which would allow you to salvage useful materials or items from the dump and keep them moving a bit longer. Remember, one person’s trash is another person’s treasure! The best idea is not to create any waste in the first place (rethink). If you do create waste, try to make as little as possible (reduce). Then try to find other uses for this waste when you want to get it out of your home or workplace (reuse). If you can’t find ways to reuse the waste, then make sure you preserve the value of the resources that are contained in that waste (recycle). You can calculate the exact cost of waste in your life by using these Zero Waste calculator tools. Saves money: When you don’t buy things you don’t need, and make smarter shopping choices like buying a product that lasts a long time, you have more money in your pocket at the end of the day. When companies design and manufacture products that use resources (water, energy, raw minerals) more efficiently, they also save money. And, we all save money when we reuse and recycle products and materials, because we don’t have to buy as much, and because our waste management costs (such as trucking waste to landfills) are reduced. Saves resources and the environment: With careful planning and design, just about anything (cars, houses, appliances, electronics) can be made with recycled and non-toxic materials, and/or made to be 100% recyclable. This sustainable approach to manufacturing means we need to dig up fewer raw materials from the earth, create less pollution and toxic chemicals, and use less water and energy to make things. Also, fewer greenhouse gases are generated along the way. Saves energy: Any time that we can use recycled materials instead of processing new materials, we save significant amounts of energy. Recycling aluminum cans saves 95% of the energy needed to produce aluminum cans from raw materials. Metal can be recycled over and over and over again. So can glass, and using recycled glass uses 40% less energy because recycled glass melts at a lower temperature than the raw materials used to make new glass (sand, soda ash, and limestone). Recycling paper uses about 65% less energy than cutting down new trees and using wood pulp. Creates new jobs: Finding new ways to reuse materials means more jobs and a stronger local economy. For example, recycling 10,000 tonnes of waste creates 6 times more jobs than landfilling that same amount of waste. The best way to reduce or eliminate these costs is to avoid generating waste in the first place. You can calculate the exact cost of waste in your workplace by using these Zero Waste calculator tools. Good housekeeping pays off. Cleaning up spills takes time away from manufacturing products. Fix leaks promptly. Repair or replace malfunctioning equipment. Prevent product loss. Be aware of product shelf life and only buy what you will use. Keep chemical containers closed in order to preserve product quality and reduce evaporation. Get more use out of what you buy. Reuse and/or use up products. Invest in efficient equipment. Upgrade or automate continuous, long running processes. Train your employees. Train operators in the latest, most efficient techniques, and teach everyone good housekeeping practices. Choose less toxic, safer products. Compare product labels and Material Safety Data Sheets (MSDS) to learn what is in the products you buy and what hazards you might face. The benefits of recycling go way beyond reducing piles of garbage. Recycling protects habitat and biodiversity. Electronics, household cleaners, fluorescent light bulbs, solvents, cleaning solutions and other things we use every day contain toxic chemicals and heavy metals that can leak into the water and contaminate the food supply. Also, the environment is disrupted and can become polluted from mining and other forms of raw mineral extraction. Recycling saves huge amounts of energy. Any time that we can use recycled materials instead of processing new materials, we save significant amounts of energy. Recycling aluminum cans saves 95% of the energy needed to produce aluminum cans from raw materials. Metal can be recycled over and over and over again. So can glass, and using recycled glass requires 40% less energy because recycled glass melts at a lower temperature than the raw materials used to make new glass (sand, soda ash, and limestone). Recycling paper uses about 65% less energy than cutting down new trees and using wood pulp. Aluminum cans – Aluminum cans are shredded, cleaned, melted, and mixed with a pure aluminum base, then recast into new aluminum products. Aluminum foil/trays – Foil packaging can be made into wrapping foil, semi-rigid packaging such as pie plates and food trays, and flexible packaging such as gum or candy wrappers. Boxes (cereal, cracker, pasta, cake boxes) – These boxes are generally used to make new boxes, puzzles, and things such as egg cartons. Cardboard – Cardboard can be recycled into new cardboard; cereal, cake, chip and cracker boxes; and puzzles and games. Magazines, catalogs and phone books – These materials are recycled into items such as food or gift boxes (boxboard), tissue paper, game boards, and greeting cards. Mail, office and school paper – These papers can be used to make new cereal boxes, facial and toilet paper, greeting cards, gift wrap, and writing paper. Newspapers – Newspaper and its inserts are mixed in with other grades of paper and used to make new newspapers, paperboard, puzzles, wallboard, gift/food boxes, cellulose insulation, and animal bedding. Plastic containers – PETE #1 is recycled into carpet, clothing, strapping, tennis balls and other bottles. HPDE#2 is recycled into new containers, drainage pipe, film, pallets and plastic lumber for picnic tables and decks. Steel food cans – Most steel cans are used to make new cans for food products, paint, aerosol and other materials. The best way to handle toxic chemicals is not to bring them in to your home in the first place. See tips in the reduce section to learn how to eliminate toxics from your life, and also read about the true costs of waste. But if you do have things like paints, solvents, pesticides, motor oil, aerosol cans, and single-use batteries in your home, don’t flush them, don’t pour them on the ground or in the sewer grate, and don’t throw them away, because there is no such place as “away.” Hazardous materials are dangerous to you, your family and to our environment, especially if not used up or disposed of properly. You can drop off these items free of charge at a community Recycling Depot or at the City of Whitehorse Landfill on Hazardous Waste days. For a complete list of hazardous materials that we accept, read about the hazardous waste Product Care Program. Got a new prescription? Talk to your doctor and/or pharmacist about taking only a small amount home to see how your body reacts before going for a full supply. At no charge, you can return your unused medications, “sharps” (aka syringes), vitamins and herbal supplements to the pharmacy where they were purchased. Another resource is this Safe Needle Disposal Toolkit.